*Vacated title in 4/02 after retiring. 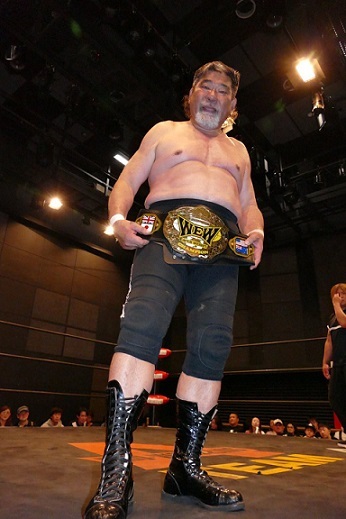 *Defeated Tetsuhiro Kuroda for vacant title and vacates titles in 5/03 when WEW promotion closes. *Defeated Kintaro Kanemura for vacant title. *Defeated Takeshi Minamino in Take Over the Independent Finals Tournament for vacant title. *Defeated The Blue Shark; the title is brought back under a different belt for the A-Team promotion.